This trash can is the perfect size for anyone in the family, small or senior, to lift out the bag with no problem. The step opener makes disposing of trash easy and the lock keeps my dog from going on a rampage while I'm gone. I came home and he knocked it over but all the trash was still inside--that is a winner! 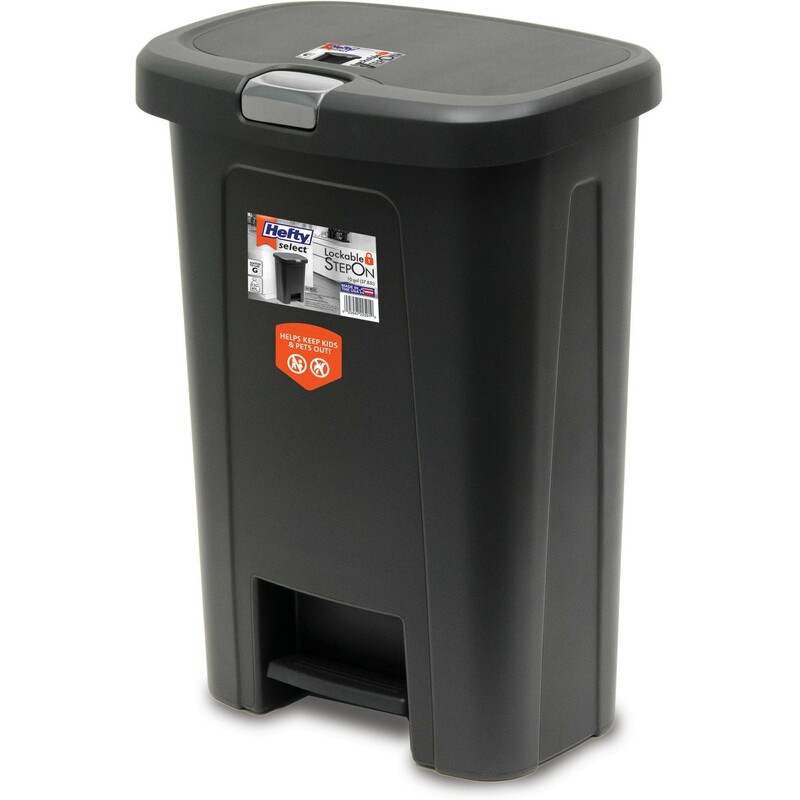 Home territory searches the web to find the best prices and availability on Trash Cans and related products foir your home like HEFTY 10G Wide Step On Textured with Silver Lid Lock Trash Can, Black. For this page, related items include products we find that match the following keywords: "Trash Can|Garbage Can|Trash Bin" at our vendor partner Walmart - Click More Info / Buy Now to check for price rollbacks!. HEFTY 10G Wide Step On Textured with Silver Lid Lock Trash Can, Black is one of 49 Trash Cans and related products available for sale through HomeTerritory.com, If you have any questions on this product, please give us a call at 734-971-1210 during the hours of 9am - 5pm EST for assistance. Thank you for shopping at Home Territory, the home furnishings superstore!